Our Eagle Mascot stress balls are daring you to take them on! These eagle mascot stress relievers are great promotions to hand out at rallies, fundraisers, games and any school event. 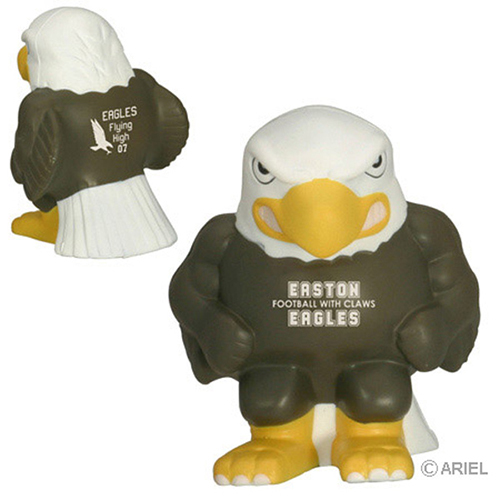 You can custom imprint an eagle mascot stress balls with a team name/ logo or clever slogan. Item Size : 3-1/2" x 4-1/4" x 3"